Despite Bulgaria's European Union membership, some regions of the country need a second liberation from Ottoman yoke, the Bulgarian Member of the Parliament (MP), Yane Yanev, stated, cited by the Bulgarian news agency, BGNES. Yanev, who is the leader of the opposition "Order, Law, Justice" Party (RZS) spoke Monday in Blagoevgrad as reported by the local BGNES correspondent. The example of the village of Ribnovo, in the Gurmen municipality, has been presented as the most striking one. 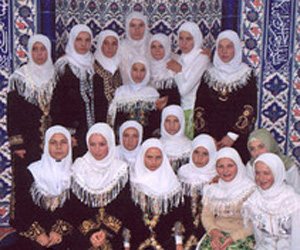 In Ribnovo, the school principal, Feim Issa, had imposed full dictatorship on the teaching staff, forcing them to wear traditional Muslim clothes, and encouraging female student to the same. Issa has been illegally appointed as principal with help of the local mosque's leaders and is actively supporting the religion teacher at the school, Murat Boshnak. Boshnak is, reportedly, an individual with suspicious past and unclear educational background. He is not holding even a Bulgarian high school diploma, but has graduated from a religious school in Skopje, Macedonia. Ribnovo residents allege that Boshnak has specialized in Saudi Arabia and is forcefully making parents to sign requests for their children to study the Islam. He is also demanding that children address him as "aga' instead of "gospodin" (Mister), had prohibited girls from attending the last prom in civil attire and issued a ban on celebrations. Boshnak later organized a trip to Turkey with funds from an Arab foundation. Only one girl had attended the prom. Parents, who refuse to follow the fundamentalist rules, are being cursed during services in the local mosque. Yanev and his colleague Dimitar Abadzhiev vowed to signal the State Agency for National Security (DANS) about the citizens' rights violations in the region, which, they say, are sabotaging European values and leading the way of Islam in Europe.